A partnership which put highlights of last month's SportAccord International Convention on television screens and computers around the world has been hailed. 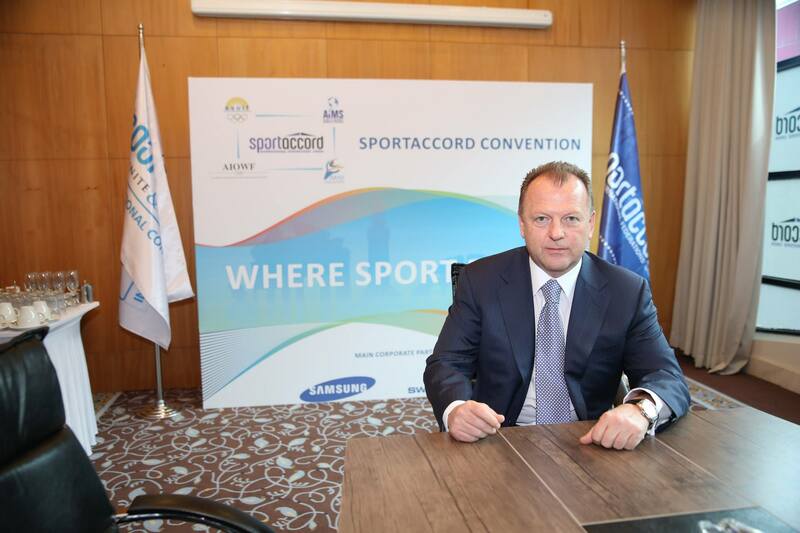 April 11 - The SportAccord International Convention in the Mediterranean resort of Belek in Antalya has been hailed by the Turkish Olympic Committee (TOC) as another success in the country's growing portfolio of hosting major events. 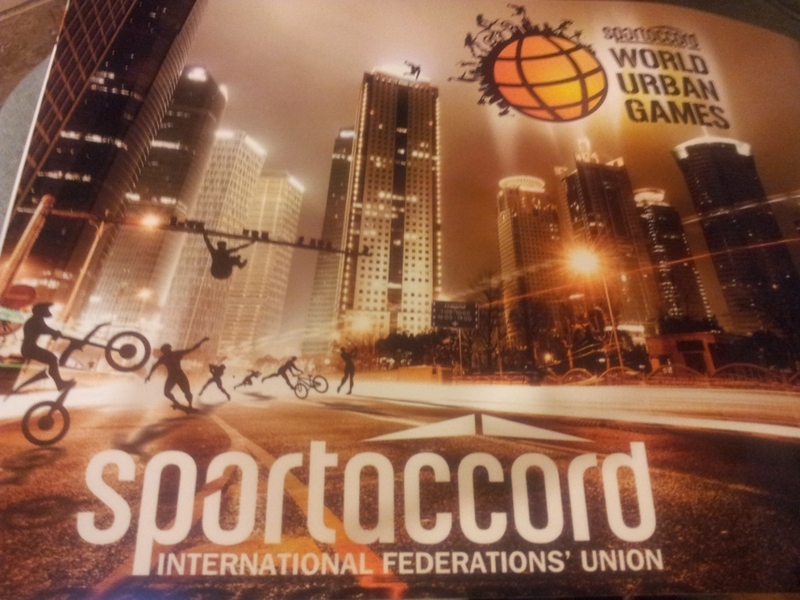 April 11 - SportAccord has unveiled the 17 International Sports Federations which will make up the programme for the inaugural World Urban Games, expected to take place in 2016 following the Olympic and Paralympic Games in Rio de Janeiro. 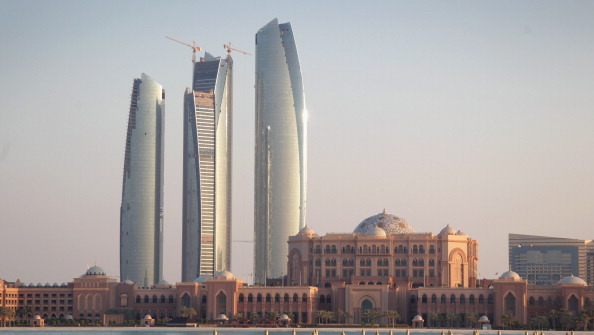 April 11 - Abu Dhabi has submitted a "clear request" to host the 2015 SportAccord Convention, although Durban and Sochi remain in the hunt as alternative locations. 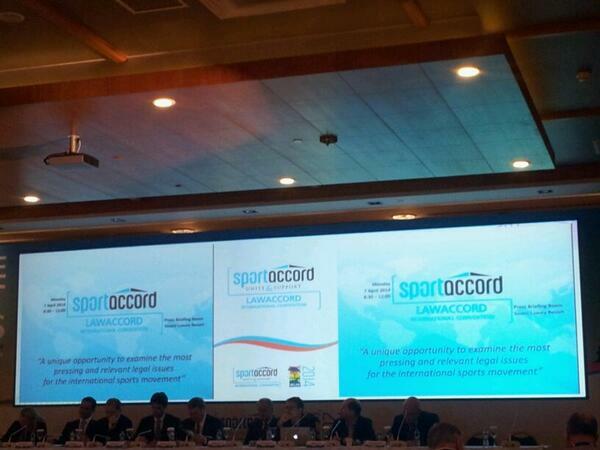 April 10 - Integrity in sport was roundly criticised this afternoon during the final panel discussion of the SportAccord Convention here as the sports world was accused of "over promising and under delivering" by former NBA player John Amaechi. 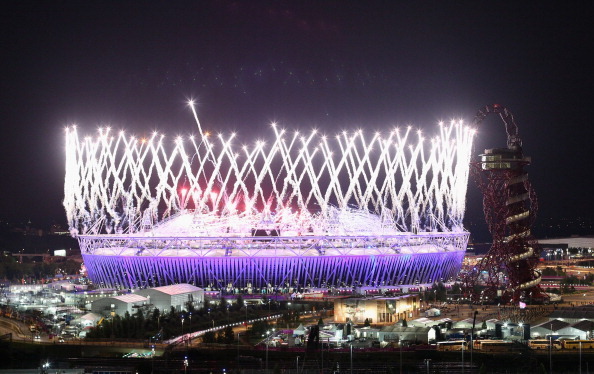 April 10 - London has been named the "Ultimate Sports City" for the second consecutive year as the host of the 2012 Olympic and Paralympic Games continues to showcase its remarkable capabilities in event organisation. April 9 - A vision to promote a positive image of Kazakhstan has been launched through the Astana Presidential Professional Sports Club, showcased here today. 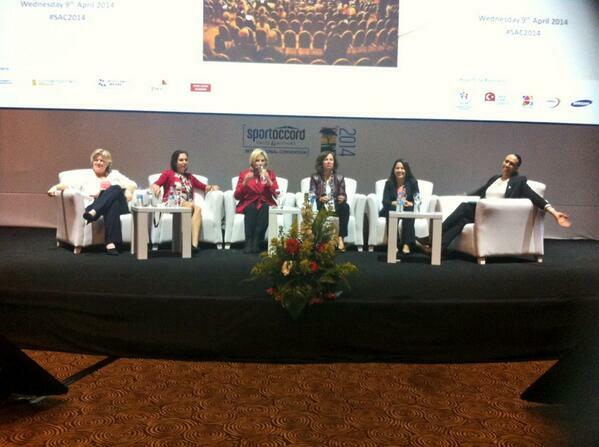 April 9 - Ensuring women have confidence in their own ability and are able to fit sport into life patterns was the key message of the "Women's World" discussion panel here today. 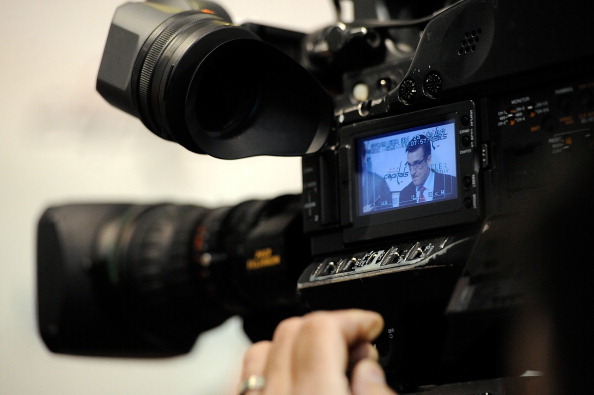 April 9 - International Cycling Union (UCI) President Brian Cookson has apologised for suggesting sports other than his own should be switched from the Summer to the Winter Olympics, although he defended raising the idea in principal. 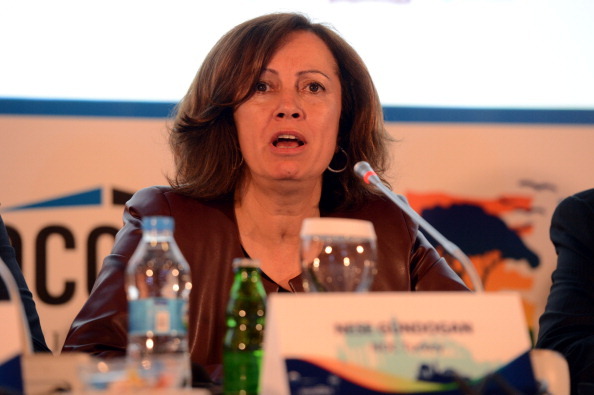 April 7 - International Skiing Federation (FIS) secretary-general Sarah Lewis has claimed a series of doping scandals in cross-country skiing in the early part of the twenty-first century provided impetus for much needed reform in the sport. 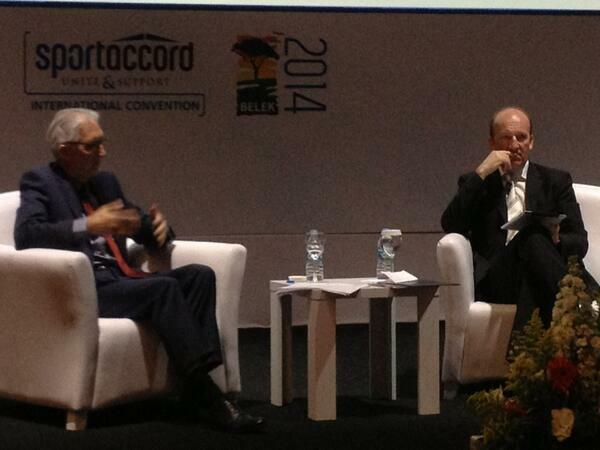 SportAccord Convention set to be three times bigger next year as Vizer launches new "complex strategy"
April 7 - SportAccord International Convention, the most important annual conference on the sporting calendar, appears set to undergo a radical overhaul in 2015 with the event being more than three times bigger than this year's, it was revealed here today. 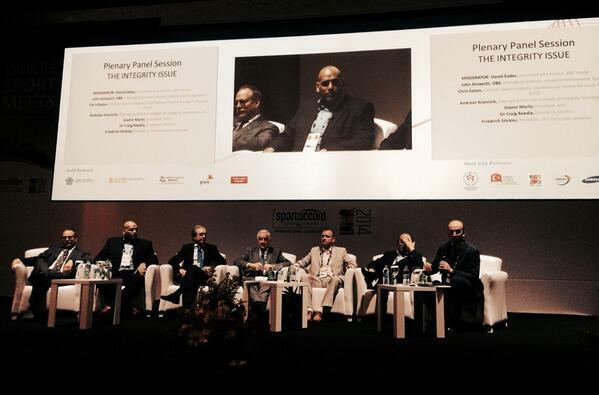 April 6 - The Qatar Olympic Committee (QOC) will be continuing as a Silver Partner for this year's edition of the SportAccord International Convention, which started here today. 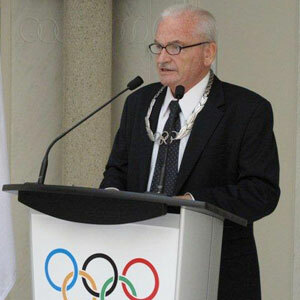 April 6 - Ron Froehlich will tomorrow end his 22-year reign as President of the International World Games Association (IWGA) when he steps down at the organisation's general annual meeting here, with Spain's International Olympic Committee (IOC) member José Perurena favourite to succeed him. 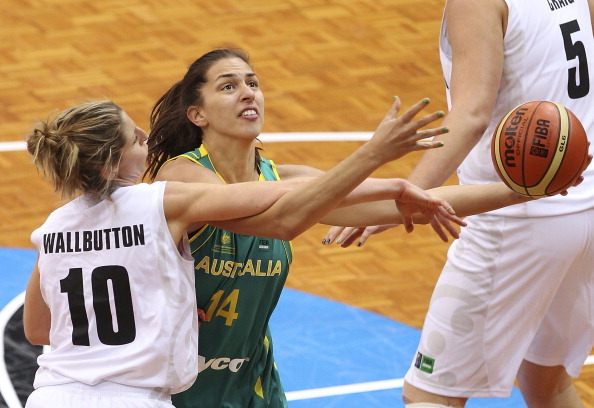 April 4 - Women's basketball will be given a platform to shine when the sport's governing body decamps at the SportAccord International Convention. 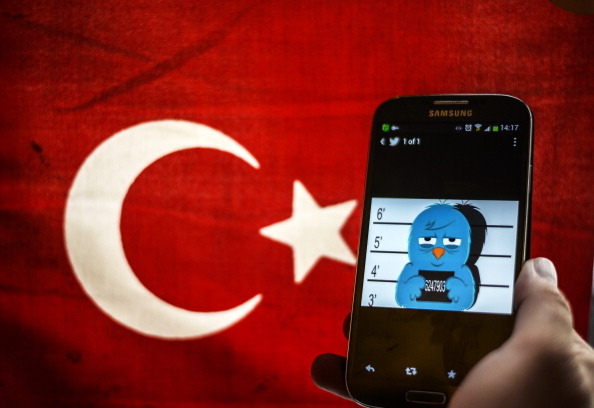 April 3 - Turkish authorities have lifted a ban on Twitter in a welcome boost ahead of delegates arriving for the SportAccord Convention in the southern resort of Belek/Antalya this weekend.